When you buy gold or silver at GoldRepublic you do not actually pay for your bullion until it is delivered to the vault. As soon as the bullion arrives at the vault, your account will be credited and the exchange will be completed. From that moment, you possess full legal ownership over your bullion in storage. So that you can be sure of the security of your holdings at all times, even in the event of GoldRepublic experiencing financial difficulties, the cash deposit you use for your transactions with GoldRepublic is not actually housed with GoldRepublic itself, but with Stichting Beheer Derdengelden GoldRepublic (SBDG) – in English, “GoldRepublic Third-Party Funds Management Foundation” – which holds your funds at arm’s length from GoldRepublic. All GoldRepublic bullion is acquired from and delivered by formally recognised LBMA-accredited bullion market participants. All GoldRepublic bullion is acquired from and delivered by formally recognised LBMA-accredited bullion market participants. In order to guarantee the quality of the bullion we offer, we only sell newly cast gold and silver. All bullion is assayed at a recognised bullion market refiner at the established standard of purity for bullion (greater than 99.5%). 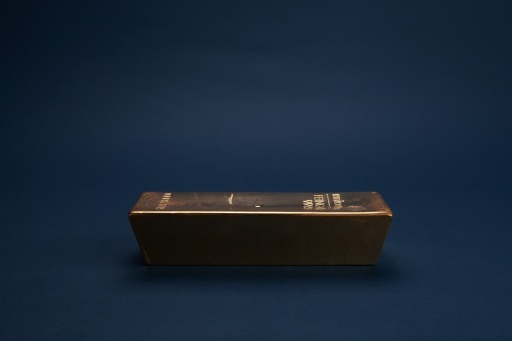 The “London Good Delivery” classification historically refers to gold and silver bars produced by melters and assayers given accreditation by members of the London bullion market. Good Delivery bars were accepted to settle transactions between members and with other acceptable counterparts. The Good Delivery List produced by the London Bullion Market Association (LBMA) is thought to represent the quality standard for gold and silver bars and this is because of the LBMA’s strict criteria for evaluating the standards and bar quality of applicants applying to be listed. The LBMA’s Proactive Monitoring programme periodically checks the assaying capabilities of refiners on the Good Delivery List and its rules and regulations mean that only a certain number of precious metal production facilities in the world are of a sufficient quality to be authorised to produce Good Delivery Bars. The same refiners ensure that the silver is mined and processed in a people-friendly and environmentally friendly manner. The bullion you buy with GoldRepublic is of permanently guaranteed quality, because it is always kept in the G4S or Loomis's storage facilities. So although owned by private customers, GoldRepublic bars retain their full resale value. What does this mean for you? It means that if and when you want to sell your bullion, GoldRepublic will buy back your gold without needing to re-check its purity. This simple solution eliminates one of the major costs of private precious metals ownership and allows us to offer you a full buy-back guarantee. Once you have bought gold or silver from us, we make sure it is safely stored and insured by an independently certified safe manager. GoldRepublic offers secure storage locations in Amsterdam, Frankfurt, and Zurich. The precious metals are stored by G4S (listed) in Amsterdam and Loomis in Zurich and Frankfurt. Both organizations are among the world’s elite when it comes to the storage and transport of valuable items. We take no shortcuts when the security of your bullion is at stake; your gold and silver is protected by the very latest security systems and fully insured at all times. When buying physical bullion, you can choose a safe location where the bullion is physically delivered to and stored on your behalf. All bullion is stored on behalf of our clients in the high security vaults of Loomis and G4S. 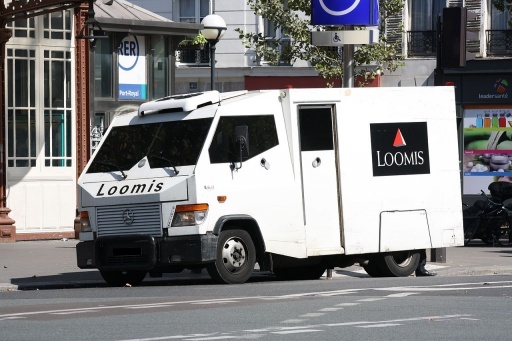 In this photo you can see one of the highly secure armored trucks of one of our storage partners, Loomis. Your gold and silver bullion is protected at all times by externally underwritten insurance. Details of the insurance we use can be seen on this website. The storage fee you pay to GoldRepublic for your precious metal covers all insurance fees. In other words, the security and existence of your bullion doesn’t depend on the viability of GoldRepublic. Once it’s yours, it’s yours. You can keep it stored for as long as you like, or sell it when it reaches a price you like. Adding a further layer of security, a specialized independent precious metal audit company will do a periodical audit verifying the presence of GoldRepublic’s precious metal reserves. The periodical audit consists of all activity related to the addition and removal of gold and silver from the vault as well as the database. By examining the vault reports and the database logs, the auditor can confirm that there has at all times been a one-to-one ratio between the weight of metal in the vaults and the quantity of metal recorded in the database over the course of the reporting period. Even if someone broke through your account security, there is a final failsafe security measure - the restriction on the destination of withdrawals from your account. In normal circumstances we only allow money from GoldRepublic account to be returned to your contra account. Would it happen, it would be inconvenient for you, but not catastrophic. And because the criminal would not profit there is little incentive to go to the effort and risk the consequences of detection. Your account is protected by advanced cryptographic methods, widely recognised as offering a thoroughly secure means of data communication, and the technical protocols used by banks, governments, and other highly secure online users. But we take nothing for granted. We are alert to the dangers of ciphers being broken and passwords being discovered. Because of these very real risks, we have implemented further safeguards that take effect in the event of your account being compromised. Your precious metal and money remains safe, and money is only allowed to exit your account to your original funding bank account. GoldRepublic is the only online service provider that offers its customers the opportunity to buy, store and sell physical gold and physical silver with a license from the Autoriteit Financiële Markten (AFM) (Dutch Authority for the Financial Markets). The Autoriteit Financiële Markten (AFM) (Dutch Authority for the Financial Markets) is the Dutch business conduct regulator in the area of financial markets. This means that AFM ensures that everyone conducts themselves in the manner that we have mutually agreed upon and intervenes in the event that agreements are violated. The AFM promotes careful financial service provision to consumers. Companies and people who provide financial services must be professional, reliable and honest. The information provided by financial institutions must be factually correct, comprehensible and not misleading. Such institutions must also act in the best interest of their clients (duty of care). The AFM also makes sure that the financial institutions do not engage in any activities that could be detrimental to their clients. The AFM supervises the conduct of the entire financial market sector: savings, investment, insurance and loans. By supervising the conduct of the financial markets, AFM aims to make a contribution to the efficient operation of these markets. The efficient operation of the securities markets is a matter of public importance. The public, business and government depend on financial products that are offered in the markets for many of their activities. Confidence in the fair and orderly operation of those markets is vital and for this reason it is very important that the proper operation of these markets is supervised. AFM is the successor of the STE (Securities Board of the Netherlands / Stichting Toezicht Effectenverkeer), which supervised all of the participants in the securities trade. The establishment of AFM is a result of the policy document 'Review of the supervision of the financial market sector' ('Herziening van het toezicht op de financiële marktsector') of the Ministry of Finance. Accordingly, sector-based supervision has been replaced by function-based supervision, which is divided into prudential supervision and supervision of market conduct. Prudential supervision addresses the question of whether participants in the financial markets can rely on their contracting parties being able to meet their financial obligations. The Dutch Central Bank (De Nederlandsche Bank) is, responsible for prudential supervision. The supervision of market conduct focuses on the question of whether the participants in the financial markets are handled properly and whether they have accurate information. This supervision is the responsibility of AFM. GoldRepublic is not in the position to provide you with independent advice about its products, your investments in precious metals and the associated opportunities and risks.